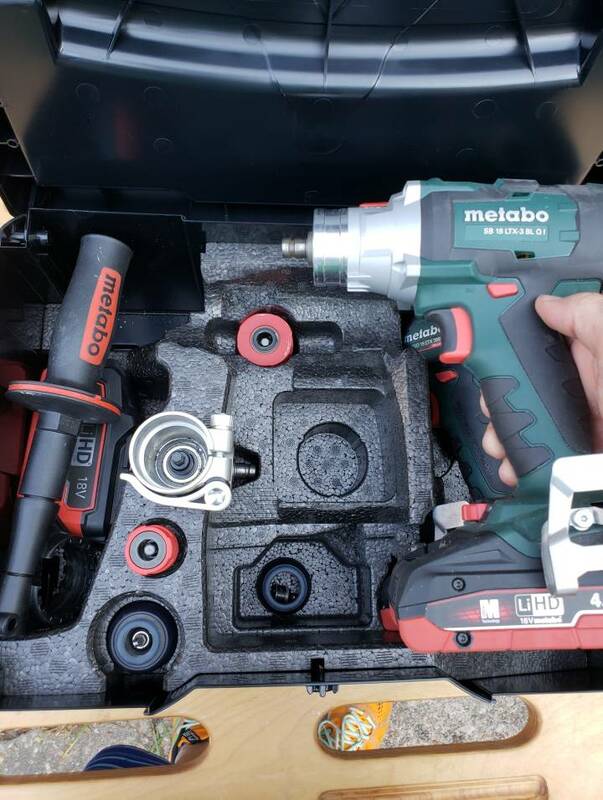 I upgraded from a 5 gal bucket to a SYS-ToolBox SYS-TB-2, the great thing about it is that it stacks with the rest of my tools and is easy to move around the job site on the top of my Sys-Roll. Jeff, who makes the leather tool pouch pictured there? Just by the stitching, I'm guessing Occidental Leather. I'm curious too. @fyme the saw blade storage is genius. 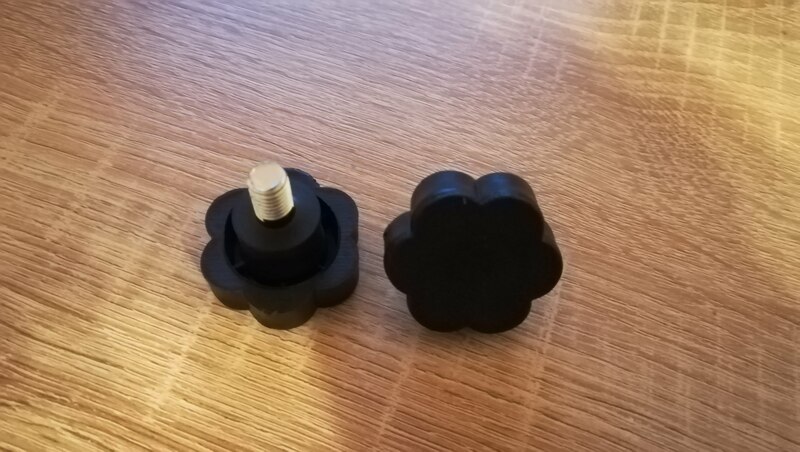 How did you mount the knobs? Is it just inserts on a backing plate? @Mortiser, @PeterJJames13 is correct! It is an Occidental 5057 Pocket Caddy. I got it from Amazon. The neat thing about it is that it has a snap so you can put it on your belt without removing your belt OR you can slide the back flap of the pouch in your back pocket for the quick jobs. "A little bit of rhythm makes Systainers go round"
@Mortiser, @PeterJJames13 is correct! It is an Occidental 5057 Pocket Caddy. I got it from Amazon. The neat thing about it is that it has a snap so you can put it on your belt without removing you belt OR you can slide the back flap of the pouch in your back pocket for the quick jobs. Lucky guess, lol. Though they always have their own distinct look. Great quality on them too. Here is my drill Systainer which also has some often used miscellaneous items. Wanted to organize my little apartment toolbox and glued an elastic band around the edge to allow for storage other than "chuck it into one of the two compartments". It's more flexible than custom plywood inserts if not nearly as attractive, does the job, though. This approach would work better in the black Tanos version of the toolbox. Wanted to organize my little apartment toolbox and glued an elastic band around the edge to allow for storage other than "chuck it into one of the two compartments". This approach would work better in the black Tanos version of the toolbox. I like the elastic band approach. Did you use hot melt? That looks super nice. Did you do the cutouts in the yourself or did you order it custom made? I wondered if the CMS OF stuff could fit in a Systainer Midi, but I guess not. How space do you have left over on the sides of the biggest part? I transported my CMS OF stuff in a banana box recently... and I didn't like that. Did you use the Tanos foam? Mine is still in progress but thank you for sharing yours, it helped ! 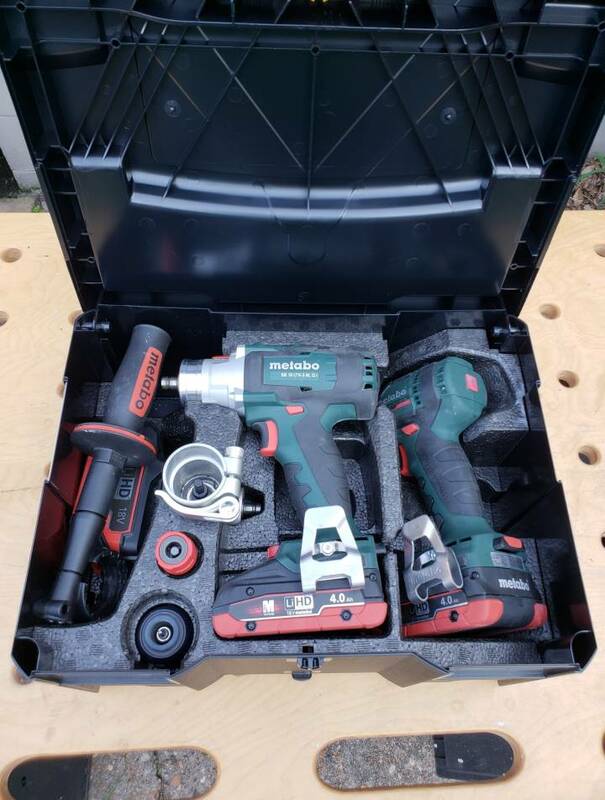 There is nothing wrong with your router bit organizer as far as I am concerned. I wanted one. Only problem was there weren't enough people interested to make it economical to produce by CNC as I remember. There was no fail on your part is my point, and I don't think of it in that way. It is a well thought out design that makes excellent use of space available and is expandable to whatever Systainer you wish to use. Maybe in place using CNC the pieces could be cast in plastic. Think about selling the idea to Rockler or FastCap or someone else. Take the money and spin it into your next great idea. I have no doubt you have a few more you are wanting to try. Here is my new blue Systainer which holds paper for my RS2 sander. It may be my imagination but I seem to get a better finish with paper from the blue systainer. It's not your imagination, it's Science. Hope you're staying warm up there. 150mm paper to the left, 125mm paper to the right (*). Which doesn't match the label, I see know (I'll have to burn it down and start again). I'll echo Bob's thoughts, it was & still is a great idea. I was actually when you returned my down payment. I liked the router insert as well. If we could get in SketchUp or Fusion 360, which I would pay for. Then I could make my own with my Shaper Origin.